Reviews and Praise: Essex, Norfolk, Suffolk and Devon Wedding Photographer. It means the world to me to receive such kind words from my absolutely amazing past couples and families across Essex, Norfolk, Suffolk and Devon. I genuinely care about every single person who has taken me on to be their photographer, and I hope that friendships have grown through being a part of your journeys. More so, the kindness you have all shown to me, and the beautiful words you write, genuinely blow me away. Below are a few snippets of some kind words, but you can find out more about what the experience with me is like over on Facebook too. Grace’s talent is evident in her body of work. What is not readily evident is the non-lens investment she makes it getting her subjects comfortable and happy to be documented. I haven’t attempted family pics in years because it previously resulted in belligerent stares and kids hiding — there was absolutely none of that in this session... Even hubby managed to crack an authentic grin. Thank you, Grace, for showing my family their best selves and making us all look so lovely! My dad’s career was a United States Air Force fighter pilot and Aerospace Engineer. His burial service was at the United States Air Force Academy in Colorado with full military honours that included a Honour Guard, the folding of the American flag, a three rifle salute by three Honour Guards, a quick message about my father by a military chaplain, a lone bugler playing taps and the presenting of the American Flag to my family. It was a very solemn and moving service that paid tribute to my dad. 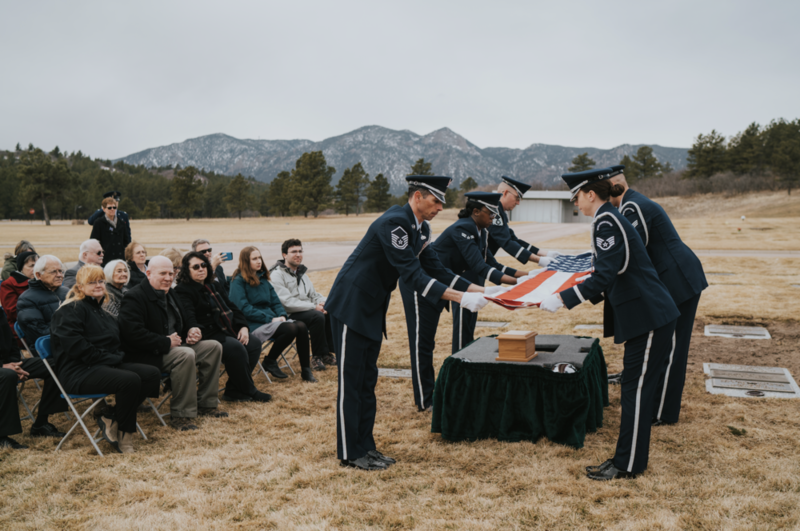 In planning my dad's service, I knew that the service would be a very personal and emotional one for me and family and I wanted it captured so we could share with future generations. Choosing a photographer would have to be someone who knows me well and has a mutual trust with me. In choosing Grace, I definitely made the right choice as she was not intimidated by the service and the emotions that would be on display. Her pictures are true reflection of the sheer emotion of the ceremony. Everyone who has seen them says they are incredible and the ones who were not there have said it makes me feel like I was there with her story telling through the pictures. Her pictures are now a family legacy that will be passed down from generations to generations. If you want a family event recorded in pictures, I would highly recommend Grace from her pictures and her business acumen even if she has to fly ten hours to get to the event's destination. You will be more than happy with her pictures and how they tell the story. 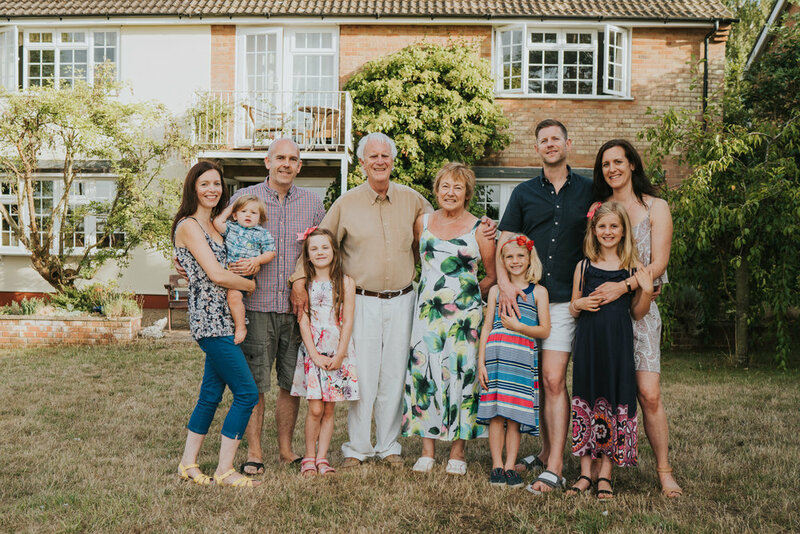 When my family decided to visit me in England for Christmas, I wanted to book a photographer so they could have a few family photos to remember the trip by. Grace was quick (nearly immediate) to respond to my inquiry and was super accommodating - even when I requested she do it on Christmas Eve. As I'm not from England, she helped me decide where to take the photos based on her knowledge of the area. She provided me with everything I needed to know beforehand and I felt very prepared and assured that she would do a great job. On the day of the photos, it was a little cold and muddy in the area we chose to do the photos; however, Grace had such a pleasant attitude and kept the children smiling the whole time and wasn't thrown off by their mood swings. To top it off, she welcomed us bringing our (giant) dog to the photos and captured beautiful shots of her as just another member of the family. When our pup decided to take a swim in the lake, Grace seamlessly switched to action shots of the dog and my husband - she didn't miss a beat. I loved meeting Grace. Her fun personality made the afternoon perfect, and the photos turned out gorgeous. I felt so fortunate to have stumbled on upon her blog when looking for photographers. I would highly recommend using her! We couldn't be happier after our shoot with Grace. 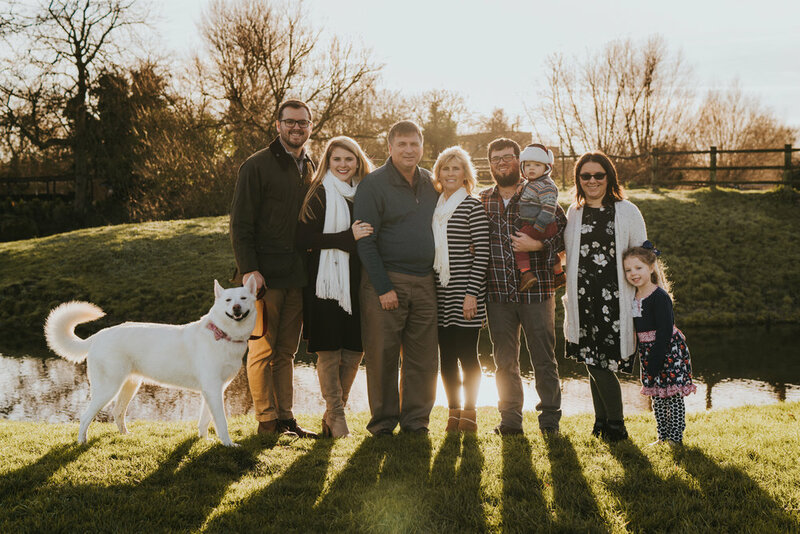 We had an extended family shoot with Grace this winter and each member of our family will treasure the photos forever. Grace puts you completely at ease and you will feel like you've known her forever. The USB parcel was just beautiful and the nicest surprise ever to unwrap! Choose Grace, you'll be so glad you did! My future Wife Rhia, wanted a photographer, personally I didn’t think much about having a photographer. I just want to marry you, I said to Rhia, I wasn’t concerned about much else. That’s what I thought before the Wedding, anyway. Rhia came across Grace’s work and I was soon being told, that we MUST have Grace at our Wedding. A consultation was booked, Grace came to see us, some hours later we were both certain that Grace, only Grace, should be our wedding photographer. From that very first meeting, we were enthralled by Grace’s passion, professionalism and dedication to her work and to her art. Grace was consistently in contact with Rhia before the wedding, Grace listened to Rhia’s requests, suggestions and made Rhia feel completely comfortable and confident that Grace knew, exactly what Rhia wanted on the day. On our Wedding Day, Grace was exceptional in all areas, delivering far more than we could have ever hoped for or expected from her. There were many young children at our Wedding, including our two Son’s, Grace was able to communicate with each of the children and bring the best out of them, a very difficult task, I’m sure all parents will know. Many of our guests asked us how long we had been friends with Grace and commented on how lovely she was to speak to. None of the guests realised that we were only seeing Grace for the second time! When we saw the end product of Grace’s work, Rhia and I were both extremely pleased and overwhelmed. It was so heart warming to look through all our pictures. Our prints were packaged in a magnificent way, in keeping with the fantastic service, that we continued to be so impressed by. We will be eternally grateful to Grace for her wonderful contribution to our Wedding. An exceptional photographer and a wonderful person. My husband and I had the pleasure of working with Grace on our wedding in St Osyth earlier this year and what a pleasure it was. 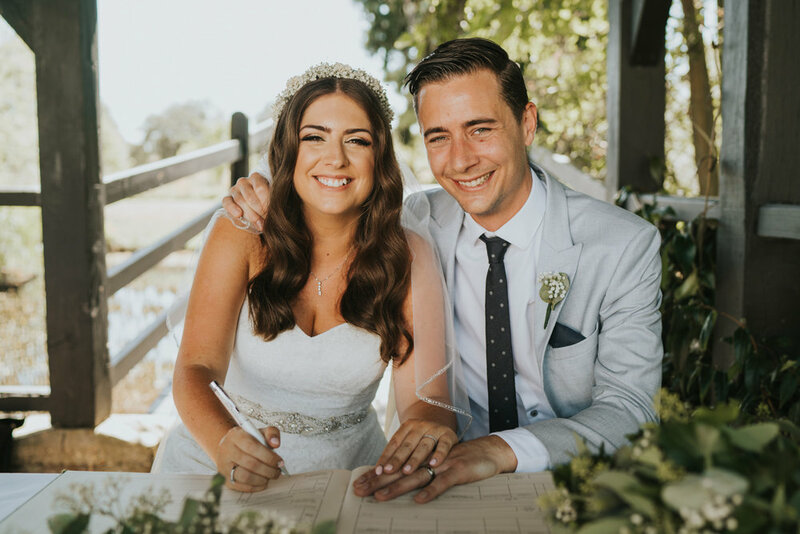 Grace is the nicest person who genuinely cared about our wedding and what we wanted to capture from the day and that was immediately clear from the outset. She took the time to talk to us about what we wanted and really put her mind to how to get the best possible shots throughout the day. She interacted with all our guests and probably knew most of them on a first name basis by the end of the night. We were delighted with the end results and couldn’t be happier with having chosen to work with Grace. I look back on that day so fondly and the photos are all truly excellent. Thank you Grace! FABULOUS photos! STUNNING packaging! Lovely lady!! She made this day perfect and we got perfect results for our maternity shoot! Can't wait to re-book for our newborn session!! Love you Grace!! We initially met Grace when she took photos of our, then, newborn daughter, Violet. When we started planning our wedding, it didn’t need any discussion, we were having Grace! It was so special having Grace as our wedding photographer. We felt completely relaxed with full trust as we absolutely knew she would smash it and that she did. We were overwhelmed with our photos. They document the day perfectly from prep to first dance with moments we may have otherwise forgotten about. She captured every emotion and the happiness and love that surrounded us. It felt like a friend taking photos (I swear I saw her well up during the ceremony haha). I can’t wait for the next joyous and pivotal moment in our lives that can be documented by her! Luckily, we got an opportunity to work with Grace to shoot our Essex Yoga and Vegan Festival and the pictures created by her are so marvelous that writing a recommendation is the least we can do. Grace is a thorough professional who not only knows how to capture amazing pictures but is also aware of not infringing on anybody's personal space. Photographing an event that involves 500 attendees is not a simple job but Grace made it seem very easy. The pictures are such top quality that we will be using them several times for promotions. Grace is also a wonderful person and communicates very well with her clients. I was able to reach her via email and Instagram even at odd hours. It just shows her dedication towards her profession. I will surely be hiring Grace for our future events. I met Grace at my friend's house during her Gold Dust Project. 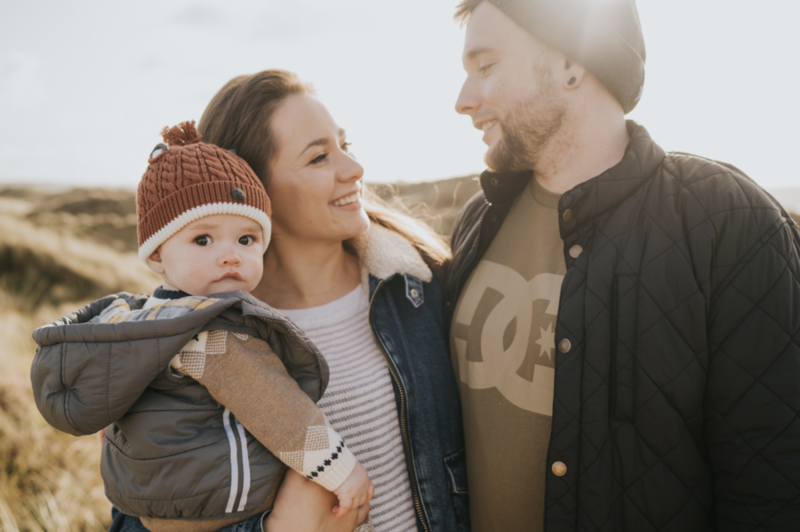 I am a family photographer myself but very rarely get any photos of all four of us together so it was really important to me to have someone who takes photos in the style I like. Grace was so professional but super friendly and accommodating throughout our contact with her and she has taken the most amazing photos at one of our favourite locations. She has captured our little family perfectly and we couldn't have asked for more. Her packaging is gorgeous too but I won't spoil the surprise! Thank you Grace! Wow. What can I say. From start to finish Grace was incredible. I sourced her on the internet when looking for a wedding photographer and I fell in love with her natural light photographs. We met with her in our home and I was nervous, and hoped she wouldn't disappoint. I had absolutely nothing to worry about because from the minute I met Grace I knew I wouldn't want anyone else to photograph our special day. She's such an amazing, friendly, lovely person that I hope I can now call my friend! She set us at ease straight away and chatted away about our shared love of big dogs being just one! And a year later on our wedding day she did not disappoint. On the day itself she was wonderful, and the photos...well I could not have wished for better! We both absolutely love every single one. The moments Grace captured are priceless. I simply can't choose my favourites! Thank you Grace for being so amazing! Please stay in touch! This year we had a special reunion. Our extended family was getting together for the first time in two years, and we wanted to capture it. We researched photographers and booked Grace as we loved her pictures and she was a local! She responded quickly to our original booking and had a really relaxed manner. She liked to chat personally which I loved and we spent ages on the phone so she could find out the type of photos we wanted, who was involved, the story behind them etc. I realise now how important this was to make the final outcome have real meaning. In addition, our price included all edited high and low res photos to usb. This had big appeal as we didn't want to limit our choice and make hard decisions at the end which you have to with many photographers nowadays. When she arrived she was calm and professional. Grace put everyone at ease. Sometimes taking our lead and sometimes directing us gently but clearly with loads of praise and laughs. Therefore she got the best out of old and young who had lots of different temperaments!! She also stayed over time without batting an eye lid. 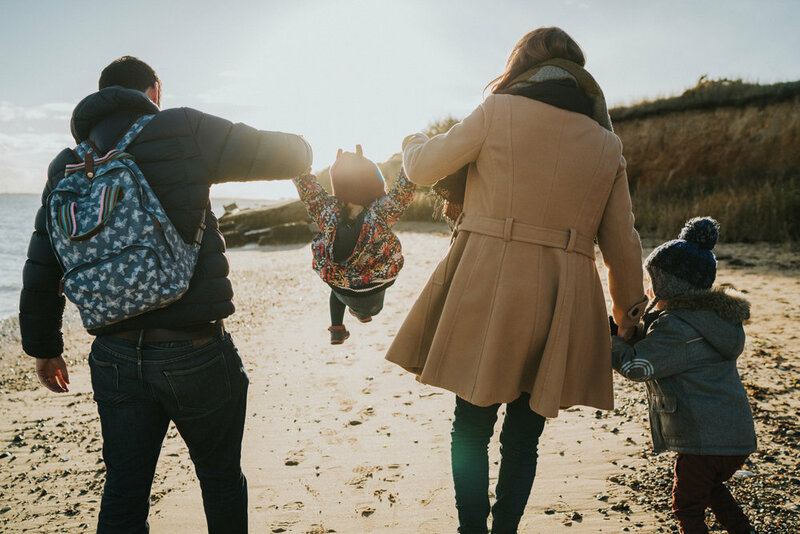 The result was gorgeous pictures that captured the heart of our family and the essence of the day, making new memories to look back on. I only wish we had done an all day session then we'd have even more! We came across Grace purely by luck and I’m so glad we did! From the beginning of booking our wedding photographs with Grace she was kind and professional. She was very patient with myself and my partner and really made us feel relaxed. Having just received our wedding photos we are both blown away by how amazing they are. They are exactly what we wanted and we will always treasure them. The photos captured the day perfectly and Grace was so generous with her time. We can’t wait to share them with family and friends. The presentation box is very special and shows another aspect of Grace's attention to detail and talent. Last month we had Grace as our wedding photographer. From the start it was such a welcoming and friendly experience. Grace offered to meet with us and chat over a coffee before we'd even agreed to have her as our photographer, it was certainly the best choice we could have made! Grace is so very talented and puts 100% into her work and that shows through the amazing photographs she produces. We are so so pleased with what we received! Thank you so much! My wife and I recently had Grace at our small and private wedding. We met with her in advance to discuss our plans and ideas, which I feel was helpful to both parties. The day itself went very smoothly and Grace was fantastic. She did everything we asked of her and she was more than happy to move people about, in and out of shots etc, which was great as we were keen to get the perfect photos. We got the pictures back very quickly... in about two weeks. And they were amazingly well presented in a lovely box (but I'll say no more, I don't want ruin the surprise for you!). Overall, Grace was brilliant. She was excellent on the day and was generous with her time. And the final result was fantastic; we're both very pleased with the photos she took and now look forward to making a photobook to remember the day with. Our wedding day was the most amazing day and Grace was the perfect photographer! She captured moments so beautifully and had ideas I would never of thought of! Grace listened to everything we wanted and then made it all even better than I could of hoped for! The photos and the memory stick were presented beautifully. Grace was flawless all day, made everyone feel confident and happy, Grace wasn’t put off by the chaos and craziness of my family but blended in and managed to get us all organised with a smile! We were lucky enough to have Grace do our engagement shoot as well and I will use Grace again in the future! Grace you are an incredible photographer and I will never be able to thank you enough for being there on our wedding day! I am so lucky to have you as a friend and am so glad you were able to be both an honoured guest and wonderful photographer for our day! We invited Grace to take some photos at a cocktail party at our new holiday retreat which we were hoping to use to promote it . We were asking the world as we wanted shots in a wide variety of locations around the house and outside.. some in daylight, dusk and night with a only a few hours to spare! However Grace stunned us with some fabulous, very individual shots which we have been able to use successfully in our first campaign. She was able to capture very relaxed, magical moments of friends laughing and having fun as well as show off the surroundings of our new venture. She was a pleasure to work, very professional but making everyone feel at ease, hence the photos look relaxed and inviting! Will definitely be inviting you back Grace. Thank you from all at Liberty House! Grace is such a credit to her profession, she documented our wedding day perfectly and captured some amazing candid shots of us. There are some lovely photos of my dad and I which is rare as we never really take a great photo together. 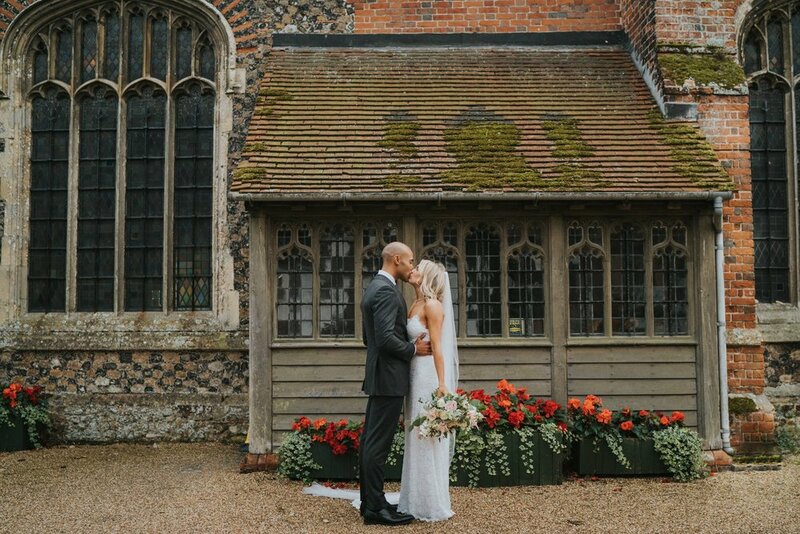 We are so glad we were recommended Grace to us, she is lovely to work with, there is no pressure, and she felt like one of our guests rather than just a photographer. Our photos arrived ahead of schedule in the most gorgeous presentation box. Grace really thinks of all the little touches. We can’t recommend her highly enough. Thank you Grace for your hard work on the day and after. We will definitely work again with you in the future! We are finally home and literally within 5 minutes, laptop on... Love, love, love them!!! I know it was only a few weeks ago but it’s amazing how your photos literally took us back to if it was today. All the emotions. All the feelings. All the excitement. Instantly. Thank you so, so, so much for the photos and everything in general. The journey has been amazing and we’ve got some amazing photos that we can look back on. I know in 10 years time we will do the same as today. Look at your photos, think of you, and transform ourselves back to our day with all the feelings and emotions that came with it. You are incredible. And extremely talented!! We thank you so very much!!!!!! Thank you isn’t enough and we hope to work with you again. We will continue to and will always recommend you to everyone and anyone. I absolutely love my photos from Grace! My complete experience with Grace from the start of booking her to finish when I received my photos was extremely professional, prompt and with beautiful attention to detail. I would definitely recommend Grace to capture those special moments in your life. We had a family shoot with Grace in the summer. The shoot itself was fantastic and Grace really made my husband and I feel relaxed, even with a grumpy 5 month old in tow. The pictures are stunning- family members are constantly commenting on how lovely they are. Overall, we were so impressed with Grace's skill and professionalism. We can't rate Grace highly enough! We were desperate to get newborn photos done of our little one to capture him so young and we had seen our friends pictures on her Facebook page and we absolutely loved Graces style - was exactly what we wanted: natural and beautiful, and none of the poses that a lot of newborn photographers are keen to do. Grace was so accommodating! 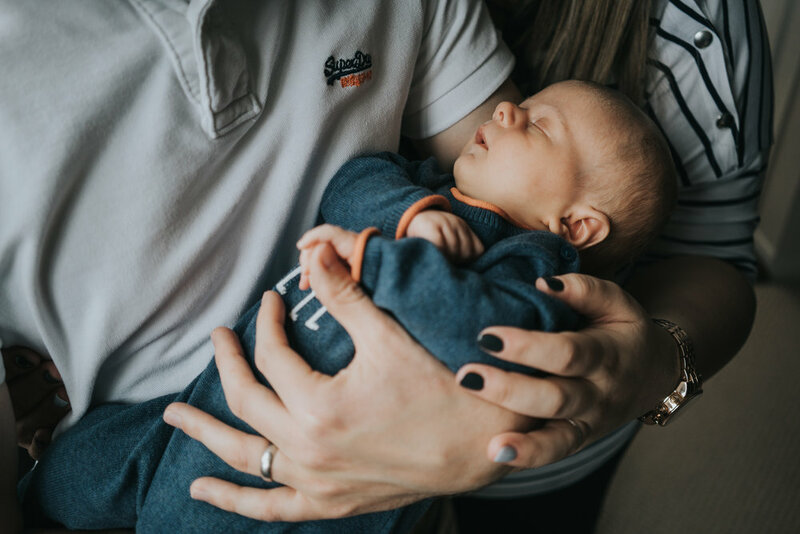 We were running out of time as William was already 10 days old but we contacted her on the Monday and she came to us on Wednesday for the shoot - perfect! Grace was kind and bubbly and just followed us around as we took William around the home more or less going about our normal day - William loves the bath so she shot us in the bathroom and he wanted feeding so she took pictures of me breast feeding him too, and these are the pictures I love the most! We received the pictures so quickly too so now just to decide which ones to have printed for the house! We're very much looking forward to seeing Grace again as William gets older. Thank you so much again Grace! We had a newborn shoot with Grace. I've admired her work for a long time and really love her style. She came to us when our baby was just over a week old. We instantly felt at ease with Grace, she's lovely. My 3 year old daughter took a liking to her and Grace helped her feel involved in the process by taking pictures of her toys when she asked. This made the whole process stress free. Grace spent two hours taking photographs and helped up with posing (I always feel awkward in front of the camera and this made me more at ease) she also took a lot of photographs we didn't even realise she had taken, true lifestyle photographs. We received our photographs very promptly on a USB stick like I had never seen before packaged beautifully with some unexpected prints included. We now have photographs we will cherish for life to remember what is such a short time and such a precious time. I cannot recommend Grace enough. I actually prefer this kind of thing to the "newborn" shoots you see everywhere of babies posed in artifical poses. Grace and her photographs are literally priceless. Wonderful person and service. It really shines through how passionate she is about her work and it shows in her photography. 5 stars aren't enough! Don't know how to put into words how amazing Grace's work is and how much effort she puts in to her photos. Grace recently photographed a Charity Ball I was holding and at very short notice, agreed to help out. I cannot fault her photo's, skills or professional approach. Grace captured every single moment of the evening and I received them all edited within a week after. You can see by her editing style the photos all have a very relaxed, natural and personal touch - which I absolutely love. I will definitely be working with Grace in the future and hope that she will photograph any future events I have again!